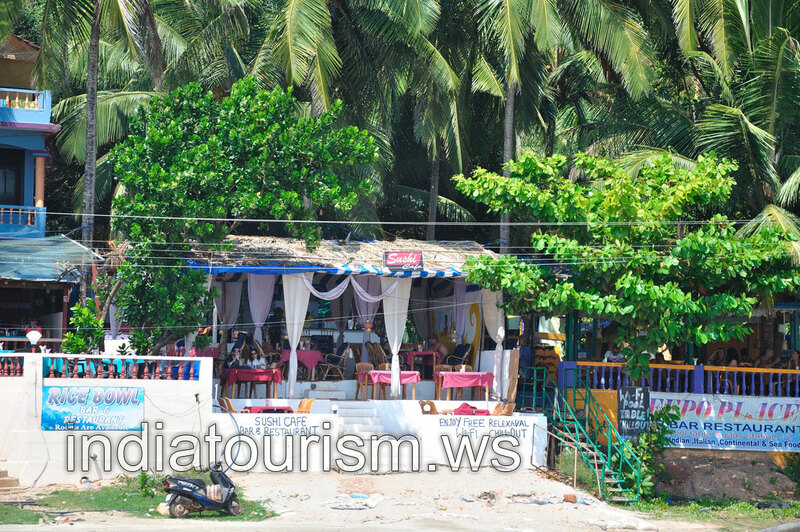 There is the cafe named "Sushi" on the Arambol beach. Even if we didn't eat in this cafe, because we kept visiting the nearby restaurant "Rice Bowl", we saw that there were many visitors in "Sushi". So, this cafe is popular also.